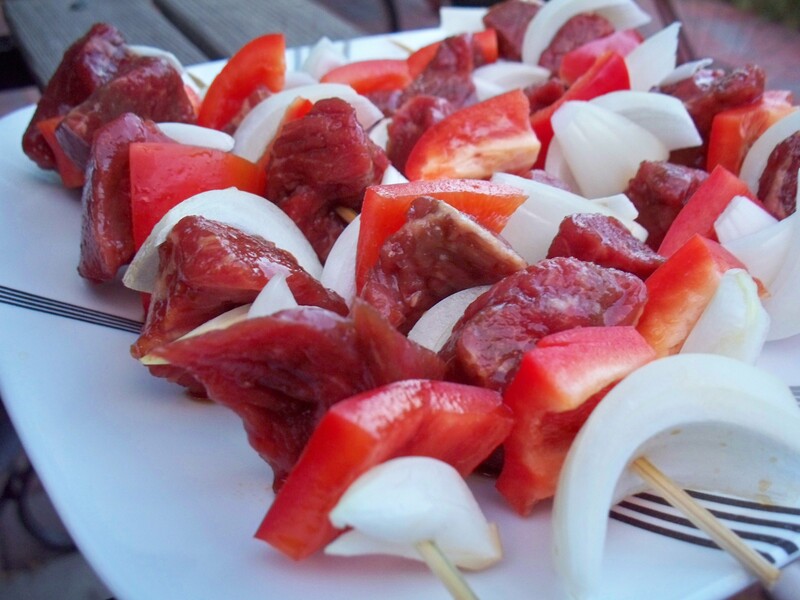 Add all the marinade contents to a large zippered plastic bag. Zip up and slosh around to combine. Open the bag and add the beef bits. Again, zip up and slosh around to combine. I like to leave the beef marinating in the bag while I chop up the veggies. Take the skewers and alternate beef and veggie pieces until both the meat/veggies and skewers are all used up. Add to a pre-heated grill and grill over medium-low, turning as needed to cook evenly to desired doneness and prevent charring. 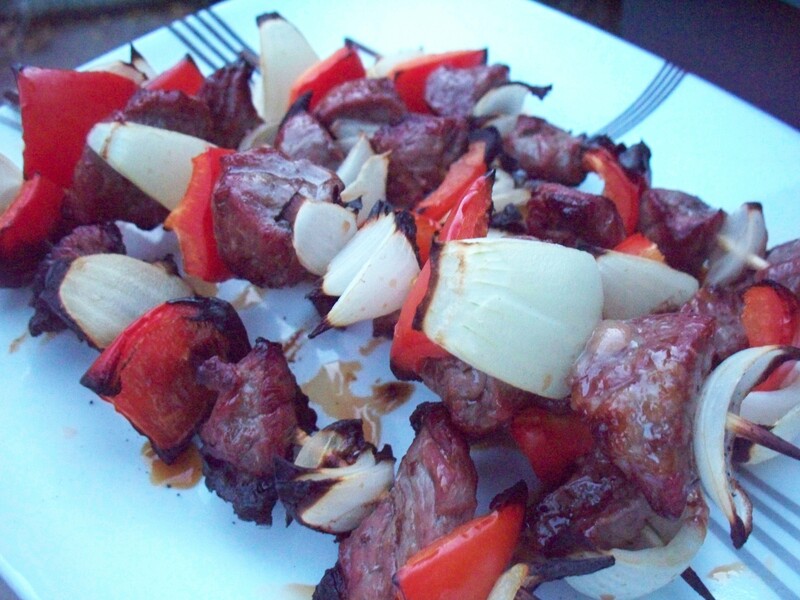 Normally when grilling you want to add sauce toward the end because it caramelizes quickly, but marinated meats can sweeten the flavor throughout so long as you watch your grill carefully and avoid any hot spots. 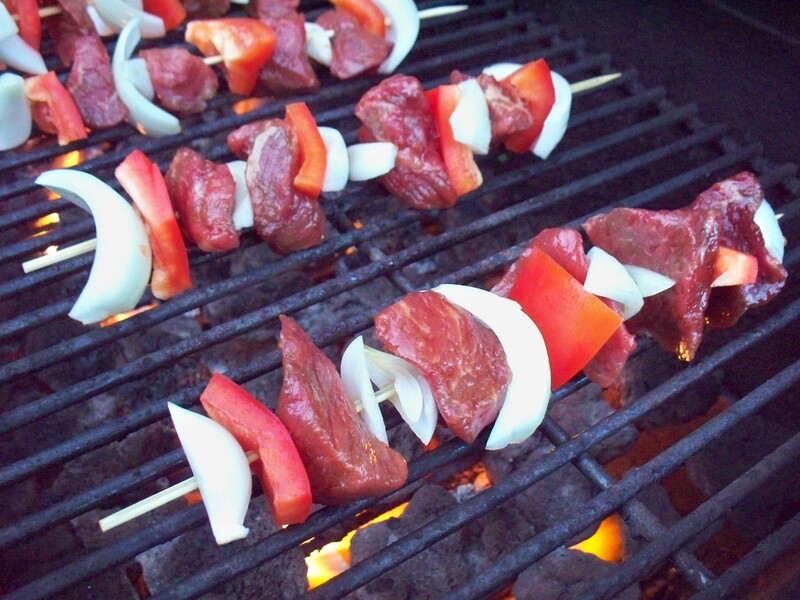 I also like to brush the kabobs with extra marinade toward the end of their grilling time. 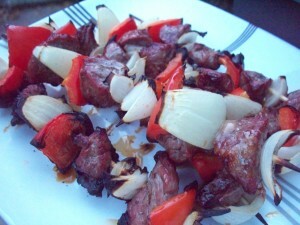 beef, bell peppers, leah charney, peppers, quick meal ideas. Bookmark the permalink. Post a comment or leave a trackback: Trackback URL.